This year the Australian National Photographic Portrait Prize Finalists are, as always, subtle and sublime. The selection of forty finalists was picked from over 3000 entries and the winner will be announced on February 23, the deserved artist taking home a 30,000 dollar cash prize. The NPPP is intended to champion the very best in contemporary Australian portrait photography. Entrants range from emerging to established professional photographers and other than being a photograph, the only rule is that it must include a physical living person or group of persons. The late, great, Susan Sontag spoke of the act of taking a portrait as a process of capturing the vulnerable essence of a person. The often quoted passage from her essays On Photography is a succinct and striking observation of the portrait in photography. Looking through the finalists from 2019 and you are presented with mortality, vulnerability and mutability in a dance of emotions laid out for all to bear witness. A sublime portrait will forever be intimate and powerful, always a collaboration between photographer and subject. We pored over the forty images and picked our favourites from the pool of incredible work. The National Photographic Portrait Prize finalists for 2019, in pictures. Lilli Waters is a commercial and fine art photographer raised on a commune in Northern NSW. Growing with a family of talented artists including her grandmother who worked as a photojournalist in the Vietnam War. Lilli’s work shines in her fine art practice and especially when she has her feet on the land in the bush. 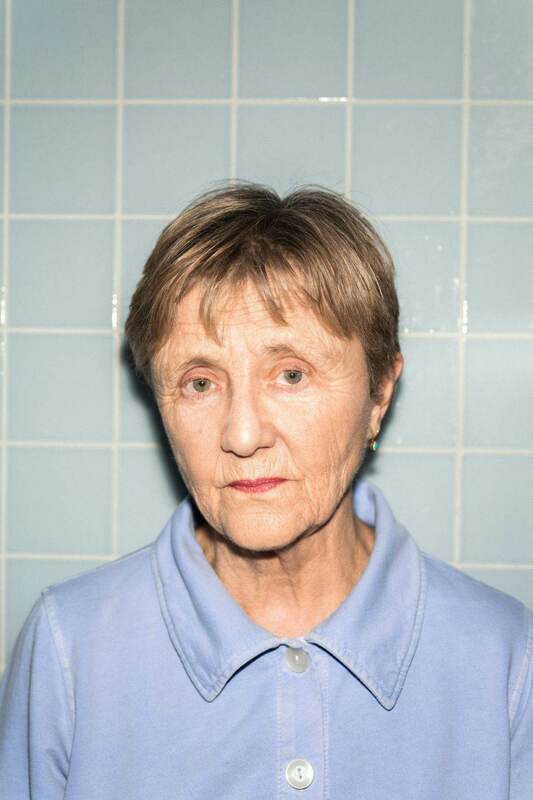 Her portrait was taken at Protesters Falls, in the hinterland of Northern New South Wales. Once a year I go up to Billinudgel in New South Wales to see my therapist. She believes that good therapy is based on a relationship – not like where you sit across from someone on a chair, but one where you go for walks and swims together. I stayed on her property recently and photographed a series of her daughter Maya and her boyfriend at Protesters Falls. I wanted to communicate something about youth, beginnings and freedom, that time between late adolescence and adulthood that is filled with possibility, but anxiety too. Unbreakable is a stoic word, and it befits this portrait from Dave Laslett or an undeniably stoic woman, Valerie. A woman who has dedicated her life to advocating for the rights of her people, the original people, of Australia. A proud woman with a deep story undeniably connected the land of which all the photographers in the NPPP call home. Dave Laslett is a documentary photographer who travels Australia in a converted military troopy and his work is an important documentation of contemporary Australia and the history that led us here. Valerie was taken from her family in Maree, along with her sisters, and subsequently placed in the Umeewarra Mission. 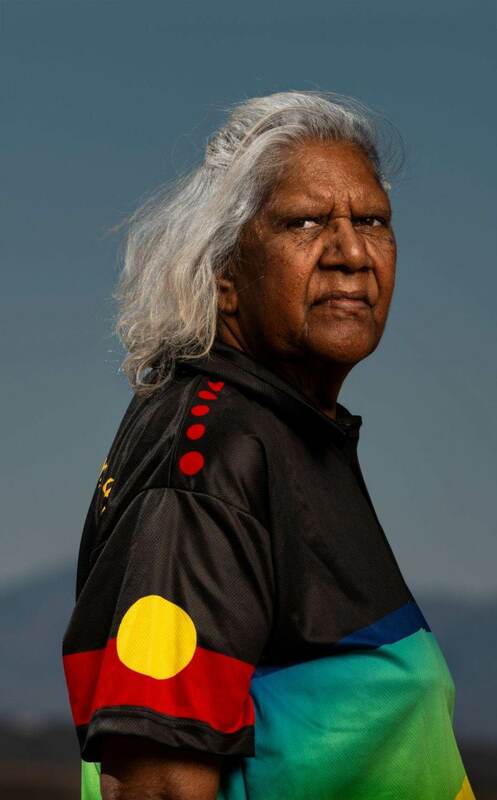 A proud Wangkangurru/Lower Southern Arrernte woman, she put Native Title meetings before her health, travelling across the vast country of South Australia, Queensland and the Northern Territory to attend them. She was proud when, on the 3rd of October 2014, the Wangkangurru Native Title claim received a Consent Determination ruling, returning rights to 79,600 square kilometres of land to the original people of this country. In the face of advanced cancer, Valerie stands strong and proud, knowing she has lived a life of meaning. Rosa Spring Voss is a burgeoning photographer and an overall wondrously talented human who is currently making photographs in Melbourne. Her portrait is a beautiful reflection and capture of the malleable and evolving relationship with her mother, Victoria. 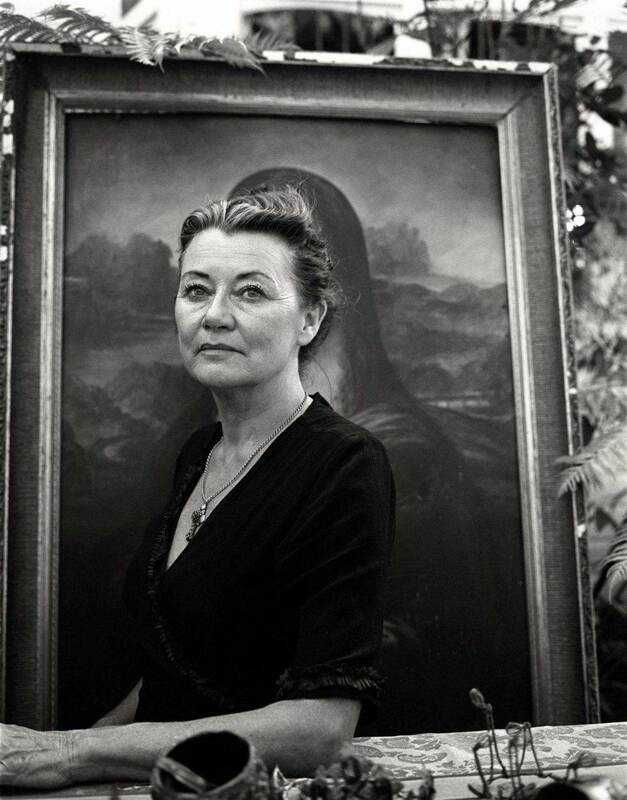 I didn’t realise until two months ago that my mother, Victoria Spring, is my Mona Lisa. As a successful designer and a charismatic personality, people are constantly gravitating towards her, but, like da Vinci’s masterpiece, greater complexities rest beneath. As a child, all I could see was my caretaker; however, as I became an adult myself, it was a great shock to realise that my mother had flaws. Why must so many women only wear this one hat? This photograph is a celebration of uncompromising strength and love for an exceptional human being, who also happens to be my mother. Alana Holmberg has created serene and intimate portraiture for years and her work is celebrated in both the commercial and fine art realms. In a year her work focused on photographing her family Alana made this divine portrait of her sister, pregnant in her kitchen. I love so many aspects of this photo, the calm, the iconically (to me) Australian kitchen, the dishes, the light in her hair. A still and vividly alive portrait. Pregnancy carried my sister into a new chapter of her life and she welcomed it warmly. Effortlessly. Ready for things to change. We’d spent much of our late twenties debating the ‘right time’, if there was even such a thing, but she’d found it. This portrait is an attempt to depict the tranquillity in Greta’s transition into motherhood, and her trust in the future. 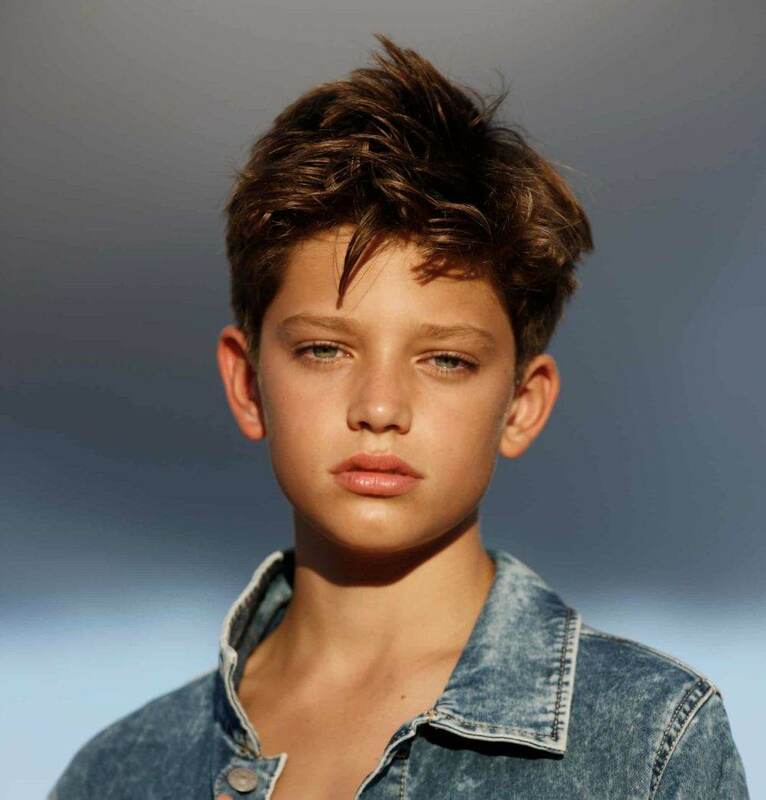 Michael Murchie is a devout lover of natural light and shooting outside the studio. His portrait of Alex is a beautiful example of that golden moment before the sun falls asleep. Alex, snapped as the last rays of sunlight were disappearing and an afternoon storm rolled in behind him. Alex Vaughan is a travelling portrait photographer working with actors and actresses around the globe from Australia to LA. 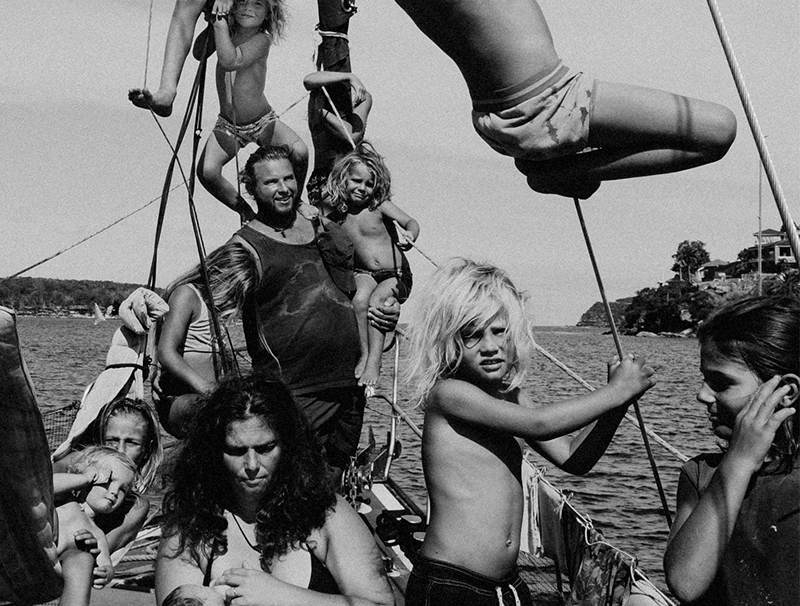 His entered image is one of a family draped, sitting and hanging in placid chaos on the boat they live on. The composition, tones and the path it guides your eyes are enchanting. 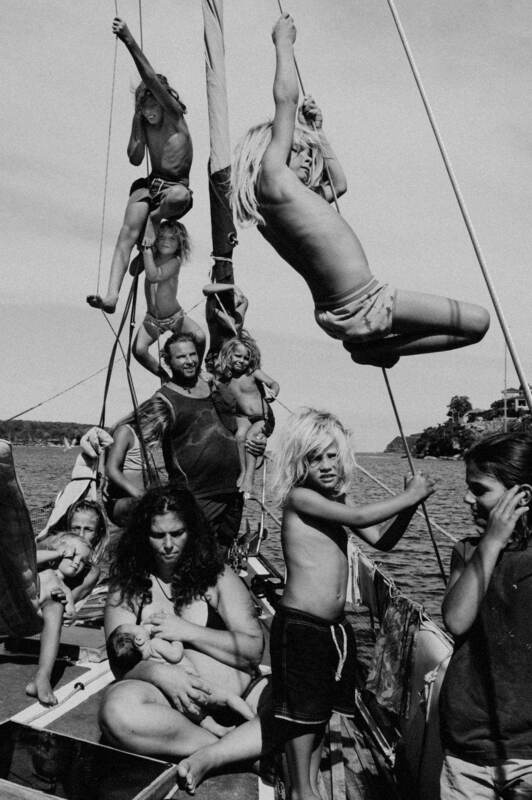 Beccie, Steve and their eleven children left rural Tasmania behind to take to the high seas on their thirteen-metre boat and full-time home, Sumbawa. Three-day-old baby girl ‘Squeak’ is the first of the siblings to be born on the boat. Here, they take a break from their travels, anchoring off Chinamans Beach in Sydney, Australia in February 2018. 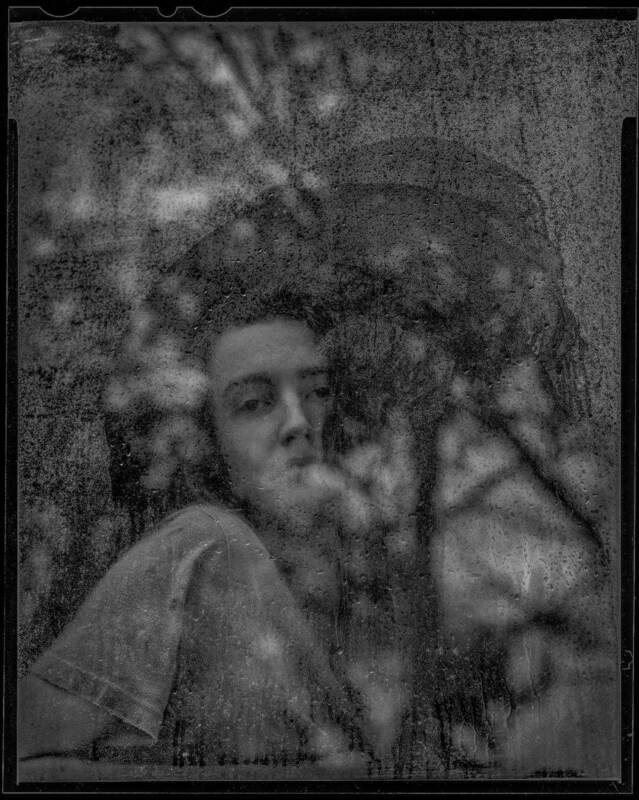 To me, this photograph of my son Willem says a lot about his emotions – his anxiety, his artistic dreamings that have forever been evident. Despite his unassured nature, he has always given himself over to me (as his father and photographer); I think he knows it’s important to me. It has always been an unspoken collaboration in many ways. It may never be the perfect image, but at the very least it’s something tangible that reflects a time and place. Mia Mala McDonald creates portraits on location around the country and has snapped a plethora of important and talented Australians. Her portrait of Helen Garner is a fitting representation of both Mia’s work and Helen’s character. Shot in Helen’s kitchen in front of ‘her favourite tiles’. The portrait displays effective and gentle use of strong flash in what I imagine was a tight space. Seeing Helen’s favourite blue tiles in the background and I cannot help but think of her descriptions of Fitzroy Pools in her significant novel Monkey Grip. Australian writer Helen Garner sits on her kitchen bench in front of her favourite tiles. You can view all of the finalists and their artist statements on the National Photographic Portrait Prize website over here. For a list of competitions that you yourself should enter, read our pick of the photography competitions over here. Good luck to all the finalists!